Sue Harrison has some 30 years experience in research in bioprocess engineering, gained in the industrial and academic arenas. She holds undergraduate degrees in microbiology (BSc. Hons) and chemistry (BSc) from the University of Cape Town and a PhD in Chemical Engineering from Cambridge University. She worked as a research scientist in the R&DD department of AECI Ltd in Johannesburg for three years. In 1991, she joined the academic staff of the Department of Chemical Engineering at the University of Cape Town. Her research in bioprocess engineering spans bacterial, fungal, archael and algal bioprocesses with application in biohydrometallurgy, AMD prevention, maximizing resource productivity for the circular economy, bioenergy products, biocommodities from wastes, fine chemicals, neutraceuticals and expression of niche peptides and proteins. Through these she focuses on microbial dynamics, biokinetics, biological stress responses and process integration. She has a strong interest on quantifying environmental burden associated with processes with the view to its minimisation. She collaborates actively with researchers at the universities of Mumbai, Duisberg-Essen, Technical University Berlin, California - Berkeley, Cambourne School of Mines at Exeter University, Cambridge University and Imperial College London and with industrial partners in South Africa and abroad. Sue has taught actively into the chemical engineering and biotechnology programmes at undergraduate and postgraduate levels at the Universities of Cape Town and Cambridge. She served as Head of Department of Chemical Engineering from 1998 to 2002 and Deputy Dean: Research and Postgraduate Affairs from 2010 t0 2015. She holds the South African DST Research Chair in Bioprocess Engineering and is the director of CeBER, the Centre for Bioprocess Engineering Research. She has been active in contributing to the innovation space in South Africa through DST initiatives,Increasingly, Sue is involved in inter- and trans-disciplinary research projects focussed on mine wastes and access to clean water. 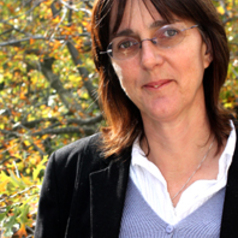 Sue is the Director of the newly formed interdisciplinary research institute at UCT focussed on water scarcity, Future Water.